A multilingual essay competition for school and college students of Bihar kicked off on October 2, Gandhi Jayanti, in the memory of former prime minister Late Atal Bihari Vajpayee. Purnea Lok Sabha Vikas Parishad (PLSVP) has organised the essay competition in which every student from the state is eligible for participation. More than 1000 entries have already come and still counting. The multilingual essay contest is an initiative of former MP and Purnea Lok Sabha Vikas Parishad (PLSVP) patron Uday Singh. School students of Class 10 and 12 in the state of Bihar can participate in this online competition in School category while Bachelors and Masters course students are welcome to write essay under college category. The essay competition started accepting entries from 8:00 am on October 2nd, 2018 and will be accepted until midnight of October 19, 2018. The results will be declared on the birth anniversary of Vapayee, that is, on December 25, 2018 , on www.atalpratiyogita.com . Eighteen students will be given cash awards worth Rs. 4.50 lakh. The students will also be given a certificate of participation. The participants are free to write the essays in Hindi, Urdu, and English. Each of the three languages in the essay contest shall have a first, second and third prize. Winner of the first prize from the college section will be given Rs. 50000, the second and third prize winners will receive Rs. 25000 and 15000, respectively. Under the school section, the first prize winner will be given Rs. 25000 while the second and third prize winners will be awarded Rs. 15000 and Rs. 10000, respectively. Commenting on the competition, Former MP from Purnea Lok Sabha seat and PLSVP patron, Uday Singh, said, "I am pleased to announce that this competition is open for the students. The students can visit the website and upload their essays. The entries will be judged by independent markers who will (at their sole discretion) apply the marking criteria. Teachers from all over the country have been invited to act as Independent markers. They will receive the entrants' essays anonymously to ensure fairness. The short-listed essays will be reviewed by another marker before reaching the final decision of winners." 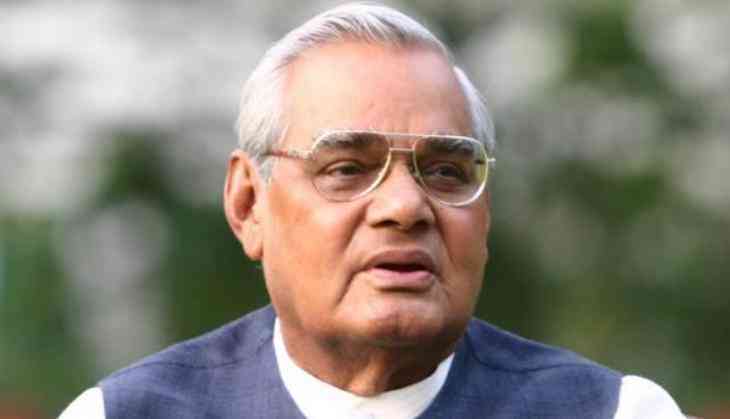 "Atalji wasn't just a politician, he was a renowned Hindi poet, a great philosopher, and a thinker. He always encouraged young minds to pursue their dreams for they were India's future. The topics chosen for this competition were very close to Atalji's heart as he envisioned India of his dreams," Mr. Singh added further. Sudesh, a college student and a participant, while talking about the competition said, "This will help the candidates know more about the vision and philosophy of Atalji and we might even get to know about some untold stories of the former prime minister. It was under Vajpayee Government when India successfully conducted the Pokhran Test. I will try my level best to grab the first prize." PLSVP will also provide monthly financial support for the students of his constituency, Purnea, under the 'Atal Educational Assistance Programme'. In addition to participating in the essay contest, selected meritorious and deserving school students from amongst the participants from Purnea will get monthly financial support in order to excel, both in their academics and sports. The word count for school students is a maximum of 1000 words while the college students have a maximum word limit of 1500. This competition will be held every year in the month of October and winners would be announced on December 25.